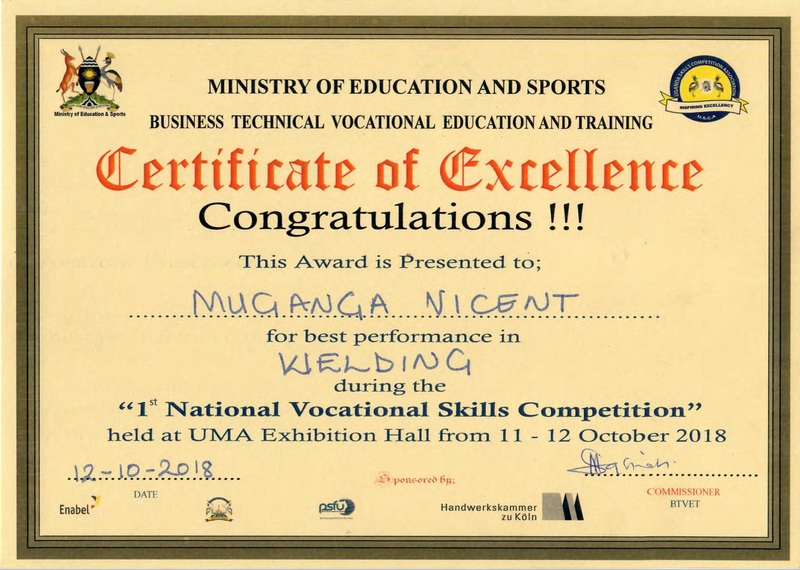 As Sunmaker Oil and Gas Training Institute, we are grateful to introduce to you Vicent Muganga, our former Welding Trainee who won the “National Vocational Skills Competitions” in Welding. Vicent said that “the field of his competition was in WELDING” where he turned out to be the Best Competitor”. The competitions were sponsored by Private Sector Foundation Uganda (PSFU), Enable and Handwerkskammer. The event was also graced by Hajat Safina Musenne, The Commissioner BTVET (Business Technical Vocational Education Training). If all goes well, Vicent will be heading to Rwanda in November 2018 to participate in what might be termed as “Regional Welding Competitions”. Vicent is a former Trainee of Sunmaker Oil and Gas Training Institute. 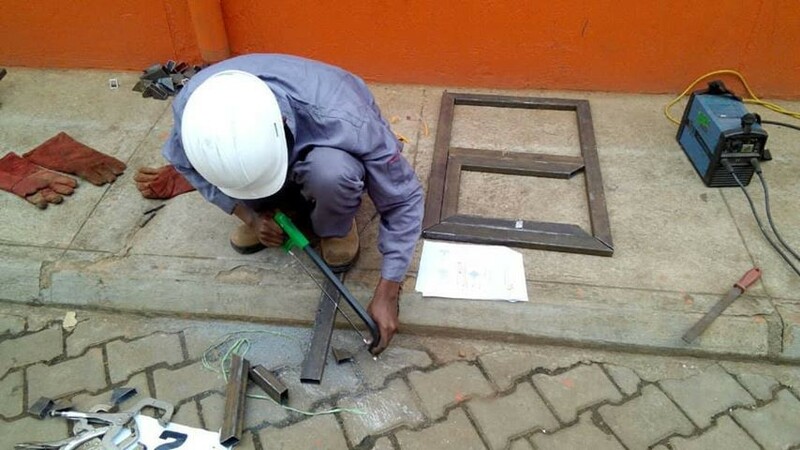 He trained in Shielded Metal Arc Welding (SMAW) under the “CNOOC Uganda Welders Certification Program”, aimed at skilling Ugandan Youths for employment opportunities in the Oil and Gas Industry. 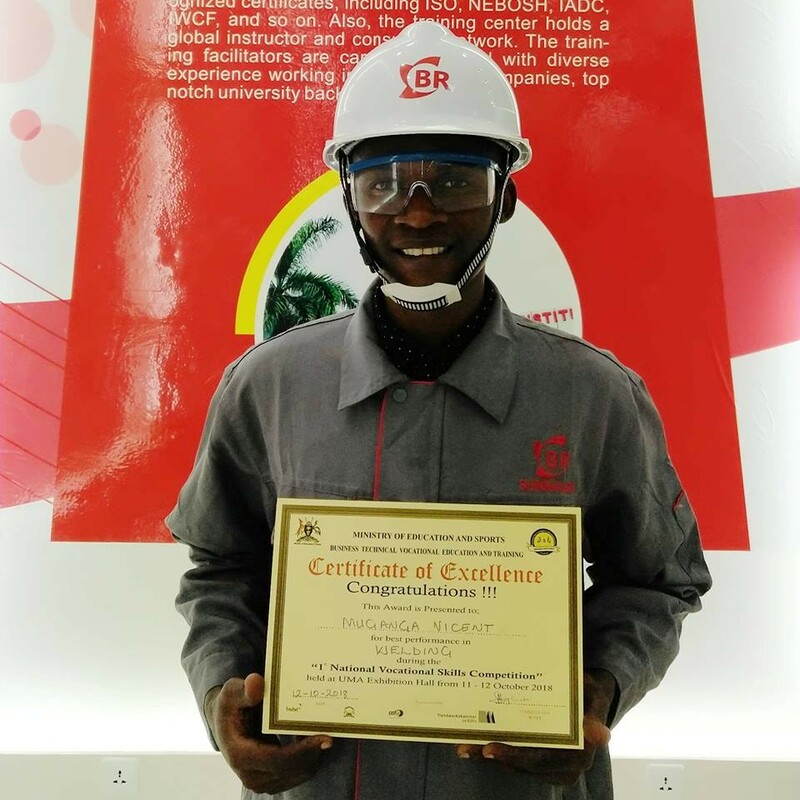 Vicent is passionate about welding to the extent that he also turned out as one of the best 3 out of 30 welders who participated in the “CNOOC Uganda Welders Certification Program”, which run for three months from July to September 2018. As Sunmaker, Vincent’s turning out as number one has proven that we are one of Uganda’s outstanding Institute offering High Quality Education and Training with the best Oil and Gas Training Equipment in Uganda and East Africa at large.